The Industrial Light & Magic team has been responsible for some of the most iconic scenes in modern movie history. Their magic has graced Star Wars, E.T., Raiders of the Lost Ark and more. Here's a peek behind the curtain. 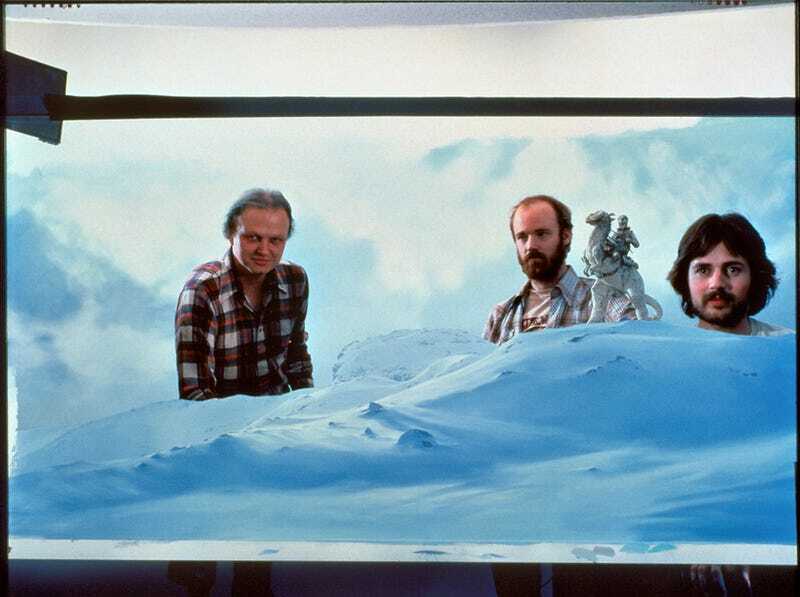 Here, stop-motion master animator Phil Tippett [center], Mike Pangrazio [right], and I stand between two incredible matte paintings used to depict the windswept snowscape of Hoth. Pangrazio, a legendary I.L.M. artist, painted many such paintings during the production of The Empire Strike Back to allow for scenic vistas, practical sets to be extended, or, in this case, a stop-motion puppet of a Tauntaun and rider to be inserted for a story point.